The State of Florida is trying to eliminate medical practitioners and facilities which prescribe narcotics freely without doing the proper evaluations. These pill mills sell drugs for cash and the resulting overprescribing of oral narcotics has flooded the streets of Florida and nearby states with oral pills leading to increased opioid related deaths and trips to the emergency departments for drug overdoses. The frenzy has been fueled by “blue ribbon physician panels” discouraging the use of nonsteroidal anti-inflammatory drugs for pain in favor of narcotics. The Florida Legislature responded by passing draconian legislation that separated opioid pain prescribing into acute prescriptions which all physicians may prescribe and chronic prescribing. For chronic prescribing health care providers must take a course and check a special box on their licensing reapplication form every two years. Pharmacies are coming under scrutiny for providing refills of short acting narcotics for pain when they have been refilled well past the 8 week suggested limit on these medications, even if the prescription is appropriately written by a legitimate physician. The pressure on the pharmacies by the state and law enforcement has led to a policy of not stocking narcotics or filling narcotic prescriptions at many Florida pharmacies. Sick patients with well documented sources of pain and legal prescriptions search endlessly for a pharmacy to fill their pain medications. The Florida pain law encouraged the growth of pain specialist doctors especially anesthesiologists, rheumatologists and psychiatrists. I treat an elderly population of chronically ill patients many with severe long term chronic back, hip and joint problems. They arrive at my practice with a history of long term use of nonsteroidal anti-inflammatory medications for pain relief and many are using opioid narcotics for years. When referred to many of the pain specialists they are integrated into a conveyor belt type operation using injections of medications into joints, physical therapy with very little attention paid to the patient’s medical history. Most of the pain doctors prefer using injection techniques rather than working with oral or injectable medications, physical therapy, counseling or any of the alternative therapies.. The patients receive their series usually of three shots into an area of the body and then are expected to be able to tolerate their pain. The problem is that during the series of injections and after the series of injections, if the pain relief has been incomplete or inadequate, there is little time set aside to discuss what to do when it really still hurts. The result is that the patients call a doctor who actually answers the phones and returns calls promptly even if that physician does not have a degree in pain management or a large volume practice injecting joints for pain relief. That doctor is left with the option of prescribing the very oral medications we are being advised not to use, or chasing down the pain doctor to discuss exactly how they wish to address the problem? Usually the pain doctors are very willing to take ownership of the situation and they make suggestions of oral medications for that particular instance. The problem then usually recurs before the next round of injections or shortly after. There are very few pain practices actually talking to patients, examining them and working with oral medications or transdermal medications to relieve pain. They just do not have the time to discuss the situation especially with the procedures being so much more profitable. It is much like the situation in psychiatry where so many of the practitioners see patients briefly to adjust or regulate medications but spend little time engaging in counseling or psychotherapy any more. I care for a 65 year old woman suffering with sarcoidosis affecting her lungs, her skin, her bones, her nerves, her blood chemistries, her kidneys, her colon and her mind. She has gone from an active spouse, mother, grandmother, tearing up the dance floors with her husband, to a home recluse calling friends to drive her to medical and care appointments while ambulating with assistance of another strong individual supported by a 4 wheel walker with a seat. She describes her foot pain as feet burning on fire. An evaluation with the Cleveland Clinic and ultimate biopsies of her skin and nerves led to a diagnosis of severe small vessel polyneuropathy. An experimental course of an IV immunosuppressant provided short term relief and hope for relief of pain but those drugs effectiveness waned quickly. She has recurrent kidney stones from sarcoidosis effect on her calcium metabolism and is in chronic and recurring pain with frightening blood in her urine as small sharp kidney stones wind their way down her ureters towards her bladder. She has had colitis for twenty years now. Normal barium enemas and colonoscopies initially resulted in her being considered a neurotic quack. When the Mayo Clinic suggested a biopsy on the normal colon and the pathology revealed a new entity responsible for all her symptoms she was reclassified from a neurotic annoying wife of a professional to “an interesting and rare case” by many in the medical community. Throughout her trials and tribulations she has sought the care of board certified gastroenterologists, nephrologists, urologists, rheumatologists, psychiatrists, psychologists, ophthalmologists, dermatologists, general internists and a neurologist specializing in pain management. 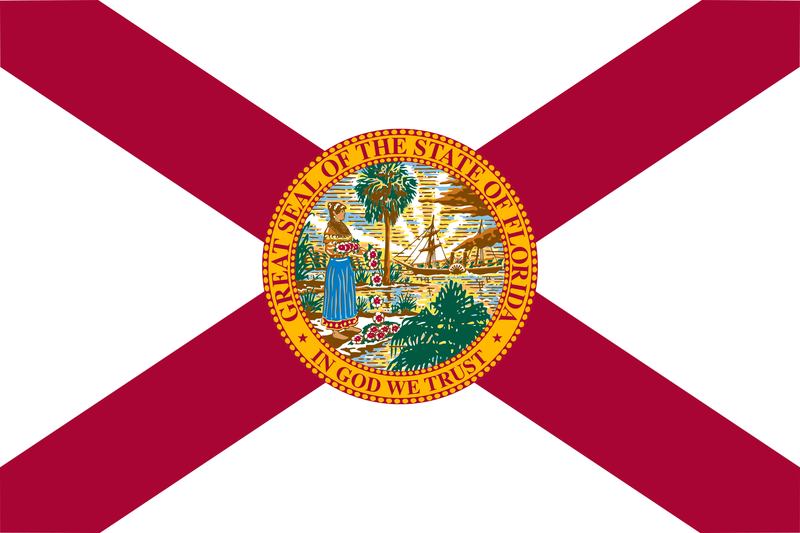 The State of Florida suffered through an epidemic of illegal pill mills at the turn of the century. Criminals hired criminal physicians to prescribe narcotic pain pills for cash irrespective of a justifiable medical condition or medical exam. These prescribing practices were spurred on by a “blue ribbon “physician panel (financed by the same pharmaceutical firms who made the pain pills) suggesting doctors use more narcotics and less nonsteroidal anti-inflammatory medicines to control chronic pain. They additionally encouraged supplementing your income by dispensing pain pills in addition to prescribing medications. I never believed in that because there was too much opportunity and room for inappropriate prescribing. Our unfortunate chronic patient had her pain controlled by a board certified neurologist who through trial and error found a formulary that the patient tolerated. During the months of experimentation the patient suffered through nausea, vomiting, constipation, diarrhea and dehydration. Trips to the ER for anti-nausea medications or IV hydration were frequent and common. When her neurologist found a mix that worked he stuck with it. That patient’s pain doctor moved out of the state of Florida 3 years ago because he was afraid that the implementation of the Florida pain law would limit his patients’ access to needed medications and make his prescribing subject to inappropriate review and scrutiny. He is currently working at a university medical center in North Carolina providing patient care and teaching medical students and doctors in training. As the patient’s primary care physician I became the narcotic prescriber for the patient in her neurologist’s absence. The patient executed a pain contract with our office which she has followed religiously while she continued her care with her multiple specialty doctors. We tried several other neurologists and pain physicians but the high volume impersonal nature of medicine today left her unhappy and dissatisfied with the care and attention provided. When the patient turned 65 years old and went on Medicare she purchased a Medicare Part D prescription drug plan which directed her to a large chain pharmacy. They told her they would not prescribe her narcotics because they did not want the liability and did not like the combination of medications ordered by her board certified pain specialist. That company had been fined for illegally selling pills without prescriptions to drug dealers out of their Samford, Florida distribution site. The alternative pharmacy, a popular supermarket chain was audited by state regulators this week. The auditors were upset with the pharmacy releasing a controlled substance in the quantity given especially along with her antianxiety and anti-migraine headache medicines on this patient’s medication list. They had no patient records or history to explain why she was receiving these scripts, but nonetheless so intimidated the pharmacy that they called the patient and told her they would no longer be able to sell her the prescribed pain medicines. The patient called my office in tears wondering where to obtain her medications and frightened about the prospects of abruptly stopping these medications. The pharmacy simply said the liability and fear of losing their license necessitated the change in policy. I am a board certified physician in internal medicine, with extra study in Geriatrics who has practiced in this community for 36 years. I list on my medical license application every 2 years that I will prescribe pain medications for legitimate chronic conditions. I take my required continuing education courses especially in the areas of prescription pain medication to meet the state requirements. My patients who receive chronic pain medications must execute a pain medicine contract which outlines their responsibilities as well as mine. I do not take lightly the prescribing of a controlled substance, but recognize that sometimes there are medical conditions which leave you with no other options. I have been told that after the state regulators look at the pharmacies role in prescribing short term narcotics for long term use, they will be contacting the Florida Board of Medicine to review my prescribing of these medications for this patient. It is clearly an attempt to coerce and intimidate at the expense of a sick and vulnerable group of patients. I have probably prescribed fewer pain medications in my 35 year career than a pill mill prescribed in one day of business. The response to the Florida Board of Medicine will require hiring an attorney and involve time, research and aggravation. Our legislators, prosecutors and law enforcement officers should be able to differentiate between a functioning medical practice and an illegal pill dispensary. I am beginning to believe these same officials could not recognize the difference between a house of worship and a functioning brothel. Their inadequacies and inefficiencies threaten to prevent the citizens of Florida from receiving relief from pain even if they have a legitimate reason for receiving pain medication on a long term basis. Do the citizens of Florida want their doctors making these decisions or legislators and bureaucrats with no clinical patient care experience? In an Op-Ed article in the NY Times, Ira Byock, MD, correctly details how brutal dying from a terminal disease is in this country. He cites the tragic case of a friend who fails to respond to conventional therapy for oncologic disease at a well-known Center of Excellence and the suffering he is going through. With conventional therapy failing he is offered a chance to enter a clinical trial or experiment to save his life. The author recommends Hospice care instead but if the patient chooses Hospice care he will be forced to forsake entering the clinical trial and turn his care over to the Hospice team. The author believes this is wrong and the patient should be able to receive comfort care and palliative care while still treating his disease. He goes on to make a list of sane recommendations regarding the future training of doctors and nurses so that patients and their loved ones will have the opportunity to be better informed about end of life issues. I became exposed to Hospice in the late 1970’s early 1980’s when the Hospice movement consisted of caring angels of mercy , who at no cost to the patient or family provided comfort measures to the patient and support and counseling to the family. Hospice of Boca Raton met in a store front on Spanish River Boulevard off Federal Highway. It was staffed by volunteers from local churches, off duty paramedics, nurses, and community volunteers. They needed a medical director so I was asked to participate as part of a rotating group of physicians who donated our time to this worthy cause. Volunteers took a training course and devoted countless hours to providing bedside care and comfort to the sick and dying. As one of the volunteer medical directors I attended care team meetings, reviewed care plans and signed for the prescription medications and narcotics needed to care for our patients. My time commitment was very structured and limited compared to the long hours the volunteer staff invested in providing comfort measures. We were paid nothing, expected nothing and worked with the patient, their loved ones and their doctors tailoring a care plan that fit each individual’s needs. We did not make them stop their treatments. We did not make them transfer their care to Hospice and away from their long time care team. In those days patients actually had a personal physician who knew them for years. We were thanked and loved for our limited time investment far in excess to our contribution especially compared to those wonderful volunteers who performed the daily bedside and household care. This all changed when insurance and Medicare agreed to finance Hospice. At first we all thought the extra funding would now make it possible to provide service to many more individuals and pay for badly needed supplies and medications. The first thing that happened is that many of the volunteers were dismissed and replaced with full time help. That included the volunteer physician medical directors. Medicare wanted full time people. Hospice became a business run by profit making corporations, hiring per diem help to go into homes instead of full time well trained Hospice staff. To be a patient in Hospice you were asked to relinquish your current doctor and medical care and transfer your care completely to the paid full time Hospice teams. In many cases patients were taken off their routine medications and over-medicated with narcotics producing a legal “Kevorkian-like” result even if the conditions did not dictate this approach. It became a big business, not a center for comfort and caring. Dr. Byock’s article in the NY Times should be required reading for all families and persons over age 50. His suggestions should be discussed in our places of worship, places of education and especially in our medical school and nursing school curriculums. Dying from a painful incurable disease in America should not be this hard and brutal. In the January 31, 2015 edition of the NY Times, Elisabeth Rosenthal writes about the high numbers of tests performed on seasonal visitors to the state of Florida in the winter (as if seasonal visitors to Florida requiring health care are a new phenomenon). She cites a NY Times analysis of Medicare data released for 2012 showing twice the number of nuclear stress tests, echocardiograms and vascular ultrasounds for Medicare beneficiaries in Florida than in Massachusetts. She blames it on Florida cardiologists purchasing medical testing equipment for their offices and doing a large volume of tests to recover much of the income lost to a drop in reimbursement rates by Medicare to doctors for actually seeing patients, examining them and providing care. The article then goes on to discuss the increased number of tests in Florida in the last two years of a patient’s life compared to other areas of the country. She does admit that senior citizen rich population centers in NY, California, Arizona, South Texas and South Nevada have similar data showing high rates of testing than the rest of the country, but this is passed off as an afterthought. There are then a slew of anecdotal stories about individuals advised to undergo a procedure or test who declined and recovered nicely without it being done. I have a suggestion for the NY Times, New York magazine and all the online purveyors of pearls of wisdom on health care. Suggest that your readers vacationing in Florida for the winter find a primary care physician (PCP). Find one who is willing to review the patients’ medical records from their northern physician and share clinical decision making on important issues with the physician(s) who know them longest and best. For many years these prestigious periodicals have been suggesting that the patients’ only see a specialist. If the patients do not self-refer themselves to a specialist, their children often self-refer them to a specialist. Most specialty physicians are ethical, moral practitioners not churning out tests for self-profit. You can avoid the ones over utilizing at your expense by finding a well-trained internist or family practitioner who has no x-ray suite in the office, no nuclear stress testing equipment, no echocardiogram machines and no extensive in house laboratory. 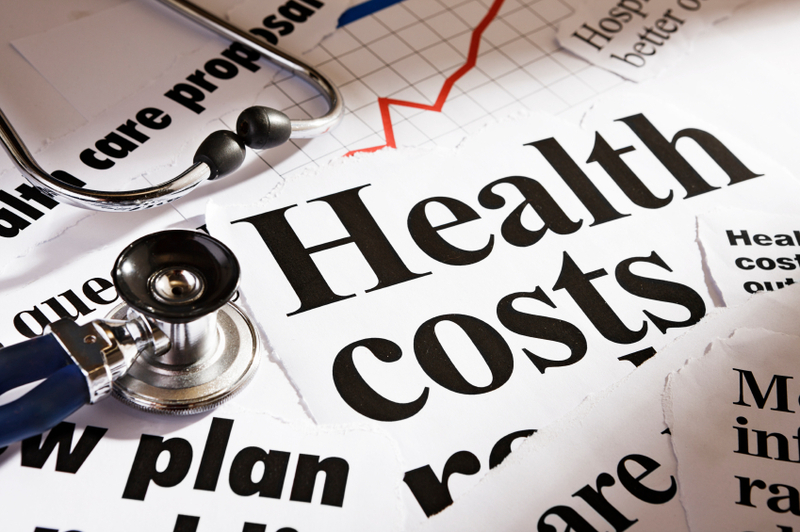 You probably won’t find that type of doctor if your physician is an employee of a hospital based health care system or Accountable Care Organization where the facility fee and incentives to over utilize are very strong. You won’t find that if you use the Emergency Room or a walk in center as your primary care physician because the same incentives exist. You can find this dying breed of physician (dying because Medicare reimbursement for their services and influential periodicals have driven them out of existence) by calling the local county medical society or the local hospital medical staff offices and asking for a board certified internist or family practitioner who is not employed by the hospital or one of its large health care systems. Consider a concierge or direct pay practice as well. The customer services in those practices, and additional patient time the doctors have, allows them to get the full story and communicate with those doctors who know you best rather than just shuffle you off for tests. After all, time is the essence of quality, especially when it comes to healthcare. Once again government regulators have put in place well-meaning rules without anticipating the consequences. We all hate sitting around in the Emergency Department waiting to be seen and to be treated. 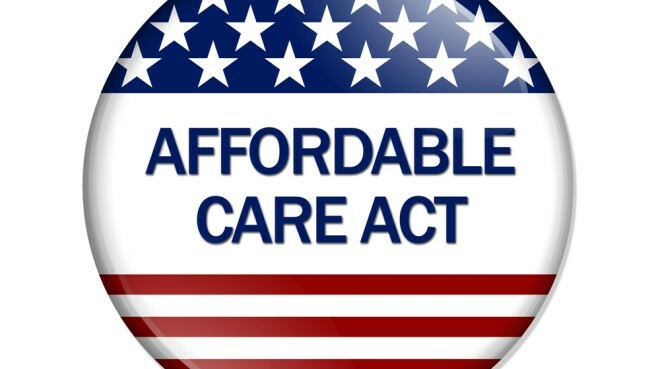 On October 15, 2014 as part of the new Affordable Health Care Act and the patient satisfaction portion, hospital ER’s will have about 180 minutes from the time you arrive and sign in to evaluate you , treat you and make a disposition or decision. The game starts on Oct. 15 but already hospital administrators have their systems operating to prepare to comply. If you fail to comply the hospital will be punished financially with fines and reductions in payments. Take the case of LH who is 88 years old, demented and lives with her loving and nurturing son in South Florida. She went to the beach with her son on a hot humid day in August with temperatures in the 90 degree range and humidity of almost 80 percent for a feels like temperature of 110. While she sat under an umbrella for several hours, the beers she drank to celebrate her birthday did not react well with her medications for dementia. She stood up and swooned to the ground and ended up in the ER. Labs, EKGs and Chest X Rays were done and it was decided that she was dehydrated. She was given some fluids and sent home. Two days later a urine culture obtained at that visit became positive indicating an excessive number of bacteria and she was placed on an oral antibiotic for ten days. Six days later she was still feeling weak and shaking when she stood up and moved about. Her son took her back to the ER concerned that she was having seizures. She was evaluated by the ER staff and noted to be running a fever. A Chest X Ray was taken and was read as left lower lobe pneumonia by the radiologist without comparing it to her film six days prior. As I was finishing up with my last morning patient I received a phone call from the ER physician advising me that my patient was there with pneumonia and fever and required admission. He told me he had obtained blood and urine cultures and started her on Rocephin. I reminded him she was already on an antibiotic trimethoprim/sulfamethoxazole for a urinary tract infection. I told him I could be there in about 30 minutes and asked him to keep her in the ER until I got there. He said that was fine. To meet the Core Measures need for a quick disposition I suggested that the patient be admitted to a medical floor on my service, be given a clear liquid diet and I would take care of the rest. He said that was fine. In August, Boca Raton, Florida is a sleepy seasonal vacation town enjoying the offseason quiet with its two colleges and seasonal visitors off on holiday. Restaurants are never full. There are no lines at the movies. There are few if any traffic jams and beds are readily available in the hospital. The hospital is usually 1/3 to ½ full at best. Our brand new emergency room is bright, wonderfully equipped with digital and manual blood pressure cuffs, otoscopes and opthalmoscopes at each bedside in marked contrast to the paucity of them on the hospital inpatient floors. It is always easier to be thorough and complete in your exam in the emergency department where you are not wasting time looking for equipment to examine the patient. I arrived at the ER in 40 minutes and was met by the icy stare of the staff nurse who said, “She has a bed upstairs can I send her?” My response was, “Not until I have a chance to take a history from her and her son and examine her.” While I was taking the history and doing the exam my cell phone went off. It was another physician in the ER department calling to talk to me about another patient who was in the department having been sent there by his surgical specialty physician who had just examined him in his office for a problem. I excused myself and walked toward another section of the ER when my patients nurse asked, “are you finished can I send her up?” I again declined and informed her that Dr L in the urgent care session wished to talk to me about a patient now and I would be back. My patient was not critically ill. Antibiotics, food and fluids had been ordered. Taking a short break to speak to the other ER doctor would not jeopardize her care or safety. I returned 10 minutes later to learn that the nurse had called the Nurse Practitioner working with the hospitalist service and she had written admitting orders in my absence to speed the process along the way. In the hospital’s view the most important issues were to move the patients along, get the medication reconciliation form filled out and get the form on preventing phlebitis and use of anticoagulants filled out so they can meet their Core Measures goals. I went into the patient and son , completed my exam, explained my findings and disappeared into the physician computer room to enter orders, dictate the admission summary after I had reviewed the nurse practitioner’s orders, reviewed the chest x ray and all the lab data. The computerized orders revealed the patient had been admitted to a medical floor, on antibiotics, on heparin for phlebitis and pulmonary embolus protection. They had missed the fact that the patient had executed a “Do Not Resuscitate “form and her son had brought it with him. This was not recorded in the orders. They had also missed the fact that the pneumonia or left lower lobe consolidation they diagnosed was the same on the x ray from 6 days prior and another from one year prior. I walked over to the radiology reading room and pointed this out to the radiologist who said what was being called a pneumonia was actually an innocent long standing hiatal hernia appearing behind the heart on x ray. Despite not having pneumonia, the patient was sick, weak, and febrile and needed admission to sort it out. I sat down at the computer and spent thirty minutes on the orders and admission notes and then spoke to the patient and family. At that point I allowed the ER nurse to call the transporter and bring the patient up to the floor. The nurse literally scowled at me and told me I was violating their Core Measures policy and their director would not be happy and would want to talk to me. I told her I had another patient to see and that if her director wanted to talk to me they knew where to find me since I have been on staff for 35 years. I reminded her Core Measures criteria did not officially start for three more months and that with an empty ER she needed to take a deep breath, count to ten slowly and relax. My comments were not appreciated. The next morning I arrived at the hospital and looked up the patient’s location. To my surprise despite requesting a medical bed for a “DNR” patient she had been located on the cardiology telemetry floor and was hooked up to a monitor measuring her heart rhythm. Why would I put a patient who asked not to be resuscitated, who was not having irregular beats, who did not have blood chemistries favoring the development of an arrhythmia on a cardiac monitor? The hospital gets paid a flat fee for her admission practically independent of how much service we deliver. I had no idea how this happened but realized that on the computerized order sheet even though it listed the bed as “medical” the nurse practitioner had ordered a cardiac monitoring bed. This flaw in our computer entry ordering system does not allow visitors to see the type of medical bed requested unless you know to click on it. The extra cost of the monitor approaches a $1000 per day. Her antibiotics for the pneumonia she doesn’t have also were quite costly. Yes the hospital expedited her trip to the floor to meet Core Measures but did so at the expense of making the wrong diagnosis, applying the wrong treatment and providing an expensive service the patient did not need. Haste makes waste. This is just the tip of the iceberg. On October 15th the best is yet to come. Pity the poor patients.